This product is not available online. We will gladly help you in one of our stores. This product is not available for Home Delivery. Custom Black Footbeds require a personalized fit by trained staff, please visit any of our stores below where they will be happy to deal with your requirements. This item is only available from our Cirencester - Cotswold Water Park and Keswick stores. Since 1977, Superfeet have helped people to accomplish some pretty incredible things, just by changing the way that their shoes fit, feel and perform. Based on the principles of podiatric medicine, all their biomechanically correct products are designed to help with a wide range of foot health related issues. 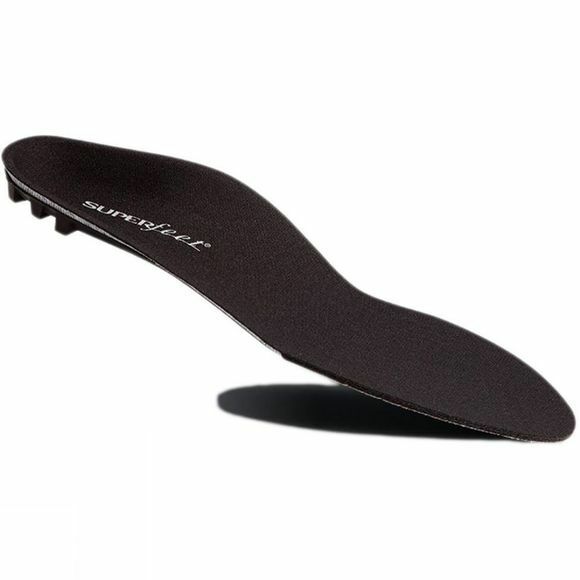 Superfeet insoles come in a wide range of models to suit different footwear types and feet, and to ensure the best possible fit for your footwear.